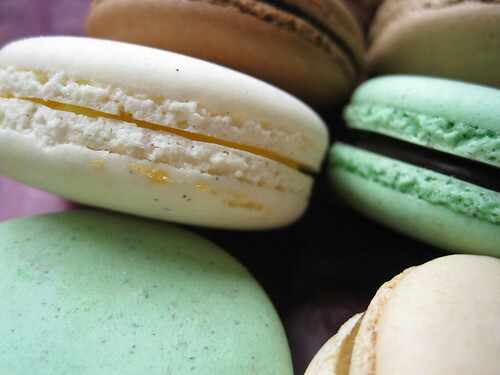 Have you got macaron fatigue yet? Nevermind, as MakMak is here to respark your interest. While the business is off to a small-scale start (making cameos in some inner-city cafes, offering limited online orders), its current range is assured and impressive – these flavours are no warm-up act. 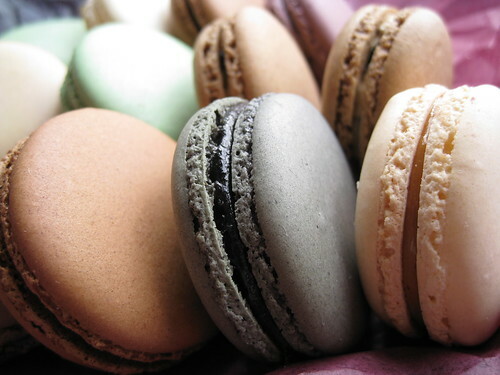 My favourite is the Raisin Toast macaron, with its spiced-fruit warmth, raisin-studded sweetness and creamy ganache. I love it. In a perfect (nutrition-irrelevant) world, this is what I would have for breakfast everyday. 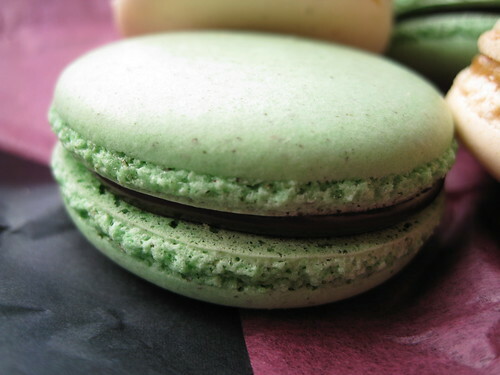 The Peppermint and Chocolate has a good minty punch and choc-slick centre, while the Black Sesame is full of fighting flavour – it’s something you’d like to see on an Asian dessert plate, or gracing more contemporary yum cha trolleys. Being a bit of a wimp, I was worried the Sea Salt Caramel would be too much, but it’s levelled just right – the ganache has a full-strength nutty chew, with the thick biscuit cushioning out any overpowering sugar-salted tones. The same is true of the Mocha, with its coffee jolt – just sweet and bitter enough to satisfy. The only flavour I didn’t entirely love was the Quince and Grape, but that’s just a personal quirk – I think grape-anything was ruined for me by some type of oven-baked fruit muesli bar that parents must’ve been guilted into packing into kids’ lunchboxes when I was growing up. I think my tastebuds have had a grudge with that oversweet baked-grape flavour ever since. I really like what MakMak is doing and am excited to know that one of its upcoming flavours will be Raspberry & Cardamom-scented White Chocolate ‘Rice Pudding’. (I think that one needs no full-hearted pitch – it already sells itself on title alone.) Given that the company is still young and small-scope, its hope is to slowly add and change the range seasonally (giving us yet another reason to yearn for spring). One of the creative forces behind MakMak is Carlos Heng, who used to be a chef (alongside Dan Hong) but now is in another area of the food industry (where the work hours are less deranged). 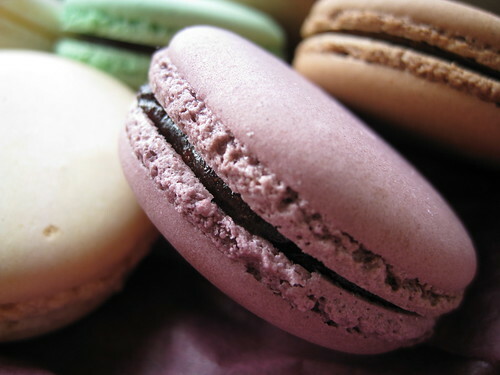 He converted to macaron-making after Gourmet Traveller gave the sweet front-cover-status for its French issue last year. 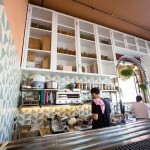 Since then, he’s had bake-offs, sold at markets, and begun selling his multi-flavoured confections at Sydney cafes such as Cafe Lounge and Room 9 in Surry Hills and Baffi and Mo in Redfern. 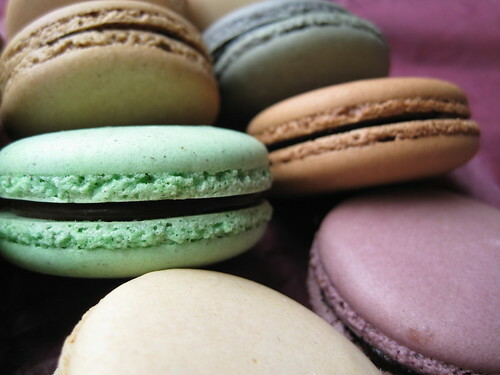 (In fact, macaron orders for the latter cafe have quickly bumped up six-fold.) 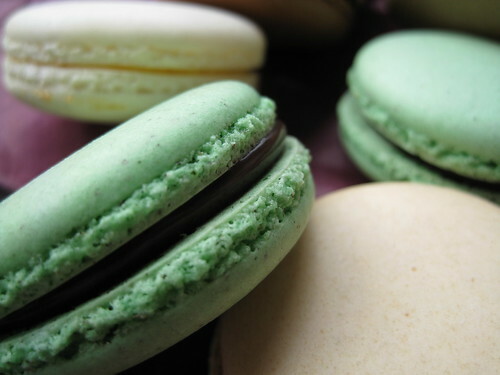 He’s about to head to New York for more research – via Paris, where the meringue-and-ganache treat has queue-attracting pull, particularly in the salons of Laduree and Pierre Hermé (who was famously dubbed the “Picasso of pastry” by Vogue). MakMak is based in Redfern and can organise inner-city orders ($25 for a dozen) – that’s how I picked up my mixed dozen box. Email the business directly for more information. Otherwise, try Lounge, Room 9 and Baffi and Mo cafes, and keep an eye on the Facebook page for developments (and the debut of the delectable-sounding Raspberry & Cardamom-scented White Chocolate ‘Rice Pudding’). You can also follow MakMak on Twitter. they look great and so much cheaper than Adriano Zumbo which i still have yet to try. 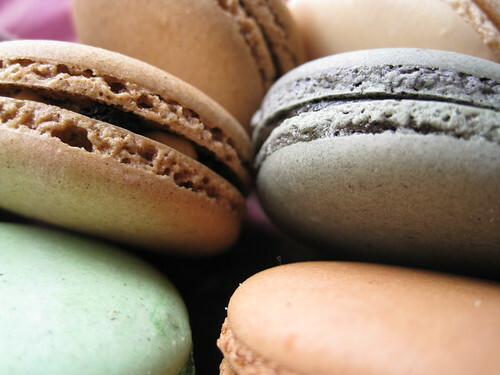 sounds like the lines are ridiculous in balmain so MakMak sounds like a great option for those die hard macaron fans out there. 12 for $12 or 12 for $25? So sorry Debbie Ann, I obviously had the number 12 on my mind, it’s $25 for 12, thanks for picking that up – it’s all fixed now. 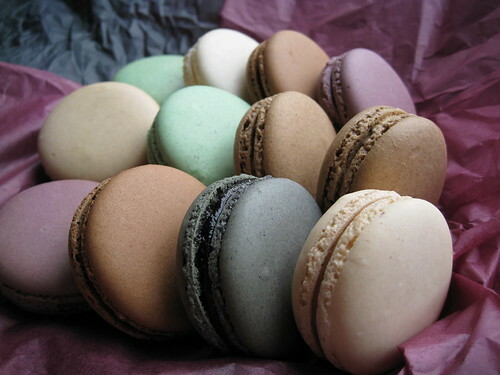 Still a good price, cos they’re quality macarons. 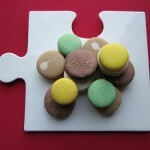 I have been ordering from MakMak for every event we do, plus I order them as apart of my own Tea Parties….. I agree with Simon Food Faves. It’s great to have an as-good-quality alternative that’s cheaper than Zumbo’s. 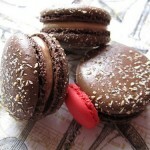 I’ve tried Mak Mak myself – the black sesame flavour ones – they’re just divine. 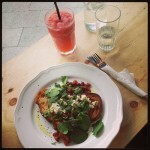 It is still a good price – and I’m in Redfern, and they are in Redfern, so I think I have to have them! Thanks for posting about them. Sounds like some great flavour combos! 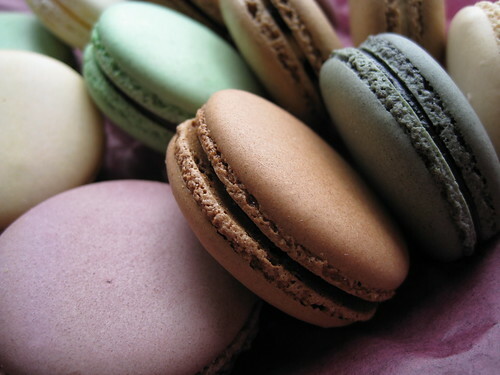 Macaron fatigue – it’s not possible is it. MakMak’s mac’s look lovely. I am in love. If only they’d send them my way … ouch. So close, yet so far. Your photos are just gorgeous! 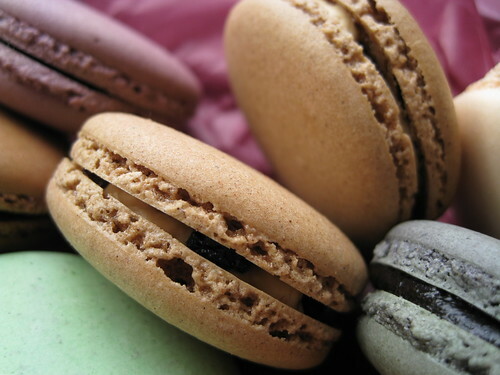 And the raisin toast macaroon does sound like the ideal decadent breakfast. 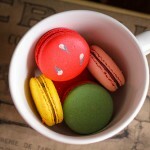 I am a real Macarons fan and the ones in your picture really made me salivate! agreed @SimonFoodFavourites! Although, Zumbo’s at $2 a pop weren’t too bad in price. Before the Masterchef Zumbo plug hadn’t gone loco, I had a weekly ritual of venturing to that heavenly hole in the wall to try a different macaron before heading off to uni. Now I know there is another place, with more flavours, I can fill many more weeks.